Participants from Azerbaijan, Armenia, Belarus, Georgia, Moldova, Russia and Ukraine will acquire smart skills and deep knowledge about mobile publishing, doing online research, and internet security. This blended learning course consists of two attendance phases in Germany and one intensive e-learning module. Attendance and E-Learning“Digital Journalism for Eastern Europe” is a blended-learning program. It consists of three stages: two attendance phases in Germany and one e-learning phase. 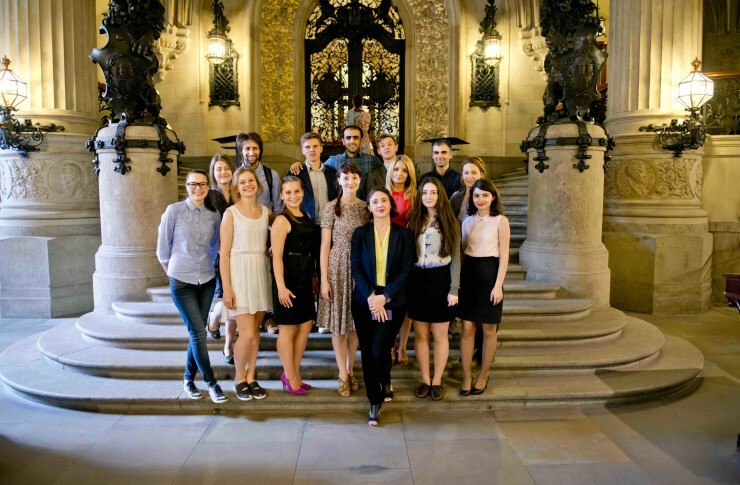 During their two study stays in Hamburg and Berlin, the participants acquire new journalistic skills in intensive sessions of lectures, practical group work, discussions and visits to innovative working newsrooms, all supported by the teaching staff. These attendance phases are separated by an e-learning phase during which the Fellows put into practice what they learnt at the Interlink Academy and work on journalistic assignments as well as participate in so-called webinars (virtual lectures) in their familiar working and living environments at home. The e-learning phase requires an average time commitment of 8 hours a week. After the end of the course, the Interlink Academy remains in close contact with the participants through its Alumni and mentoring services.